First discovered by Vincent St. Preaux in 1832, Coma’s famous Log-that-Resembles-Andrew-Jackson was the toast of the town for nearly two decades. The eight-foot log captivated residents of Coma, who found the uncanny resemblance to War of 1812 hero, Andrew Jackson, to be a sign that the town was destined for greatness. Above: Can you tell which of the above is the log and which is President Andrew Jackson? Neither could many Coma residents in the 1830s. The log was put on display in a small park near the center of town. Visitors flocked from afar to see for themselves the miraculous log that some Coma residents claimed was an exact replica of the man who saved the nation from peril during a bloody war with the British. Eventually, the fanfare surrounding the log subsided and many forgot about the precious artifact. However, in 1881, the log was rediscovered during park renovations. Eventually, the log was abandoned in the forest outside town. Often overshadowed by his older and widely praised brother, Davy, Randy Crockett enjoyed a successful career as both a frontiersman and the nation’s first wilderness dentist. 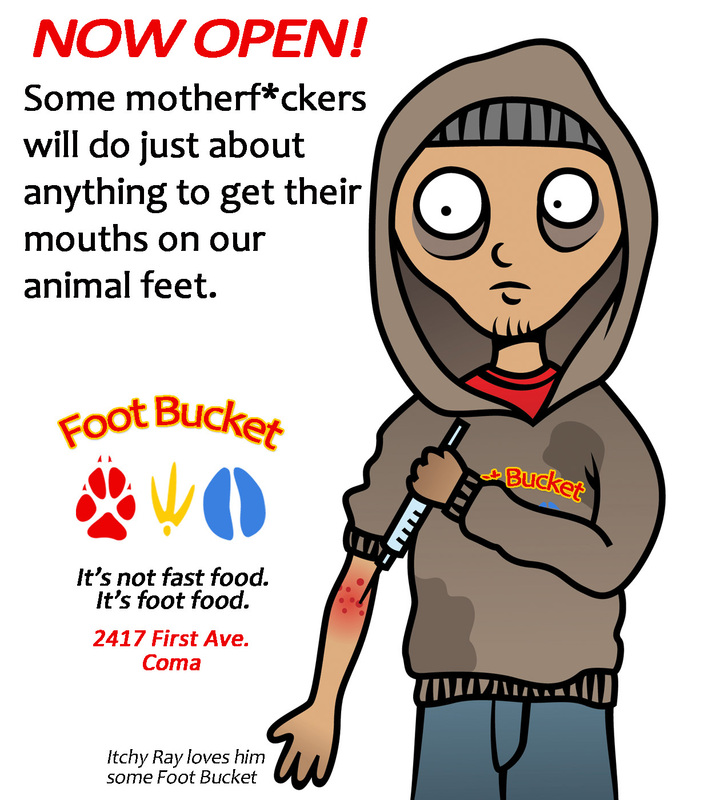 Most Oral Historians agree his impact on the Veterinary dentistry field was substantial. Frontiersman, dentist and orthodontist Randy Crockett lived in Coma from 1827 – 1835. The younger Crockett, who settled in Coma in 1827, built a successful animal dentistry practice and is credited with using his ax to remove plaque and tartar build-up. Although this technique fell out of favor due to high patient mortality rates, Crockett was viewed by many as a pioneer in pushing the science of Veterinary dentistry forward. Crockett lived in Coma from 1827 until 1835. In that time, he performed more than three dozen successful root canals on a range of animals including pigs, donkeys, coyotes and a small family of chipmunks. 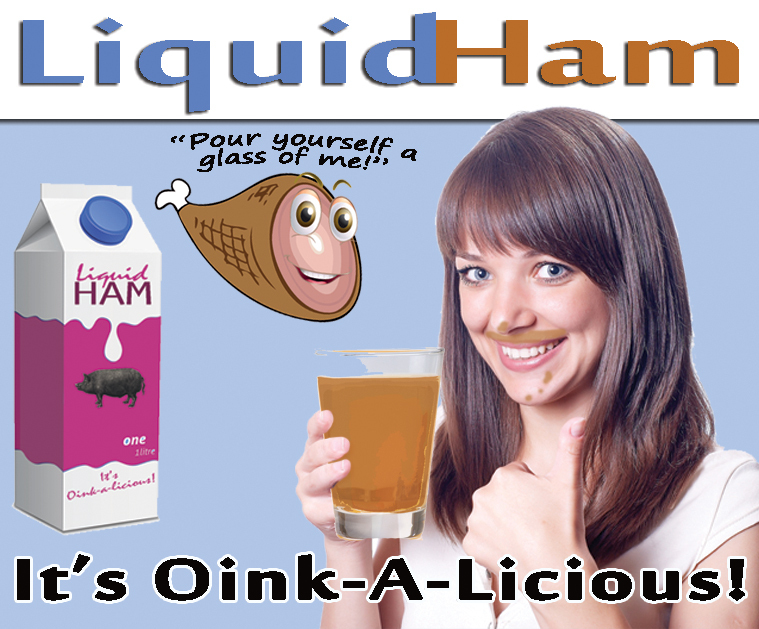 Crockett, who struggled to earn money from his dental practice, as most clients were not in a position to afford care, left Coma in 1835 and went on to open a first-of-its-kind drive thru restaurant, which offered salt pork, a variety of root vegetables and maple syrup brought to you while you waited in your Conestoga wagon. The Fancy Comma, a formal version of the popular punctuation mark, was invented by Coma publishing magnate, Howard Sherman Montgomery Sr. in 1887. 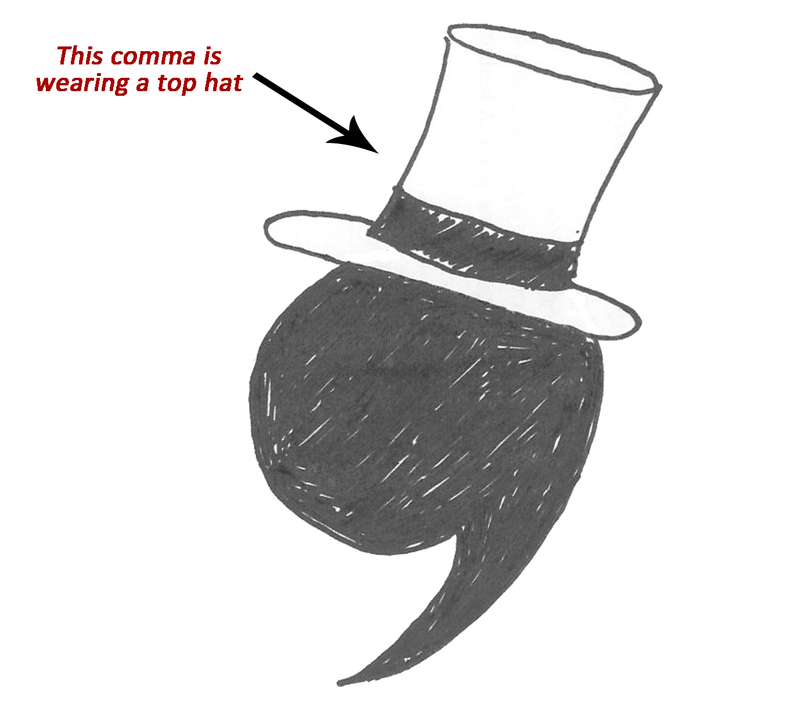 Reserved for special documents and books about fancy things, the fancy comma features a standard comma wearing a top hat. Although rarely used today, the fancy comma can still be found in some wedding announcements, edicts and treaties. The world’s largest comma weighs nearly 4,000 lbs. and is stored in a barn in Coma. 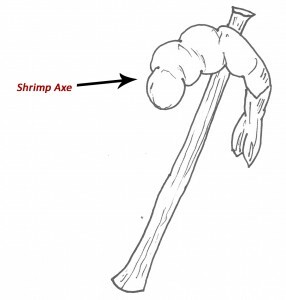 Used by the first settlers of the Town of Coma, the shrimp axe was a popular tool because of the abundance of shrimp and the overall ineffectiveness of the device. 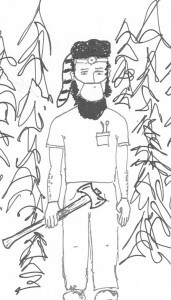 The unorthodox tool consisted of a jumbo shrimp attached to the end of a large wooden stick. 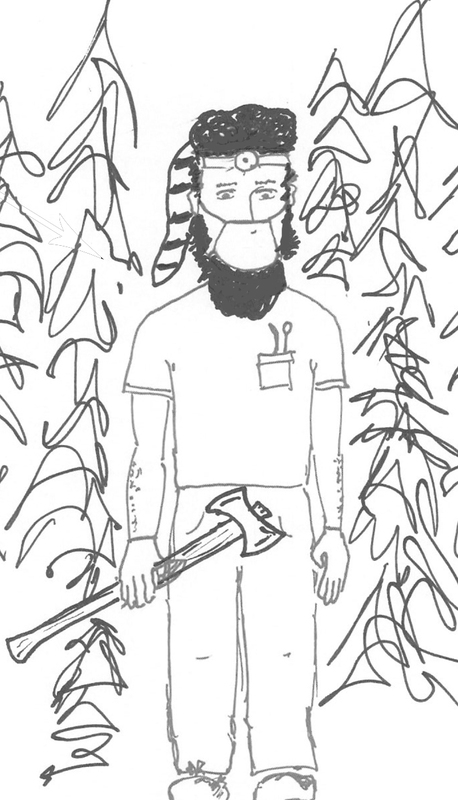 The tool’s popularity waned over time because many found it impossible to use to cut trees down or split wood. It wasn’t uncommon for people to eat the shrimp, which made it even less effective in some cases. 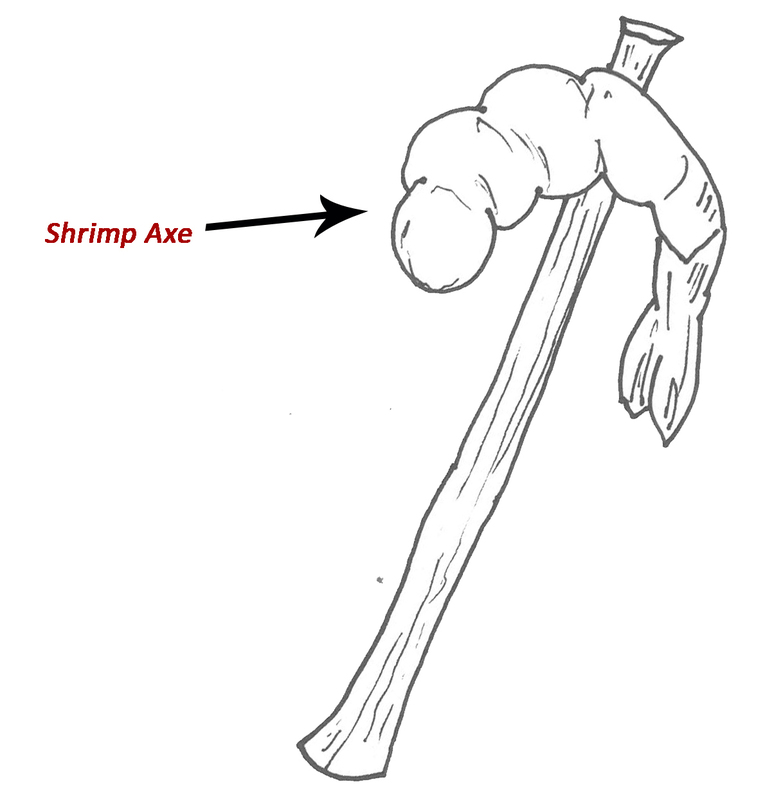 Settlers who relied on the shrimp ax to cut trees and logs for building their homes usually lived in caves. Some of the earliest settlers in Coma lacked the appropriate resources and skills to make proper tobacco pipes. 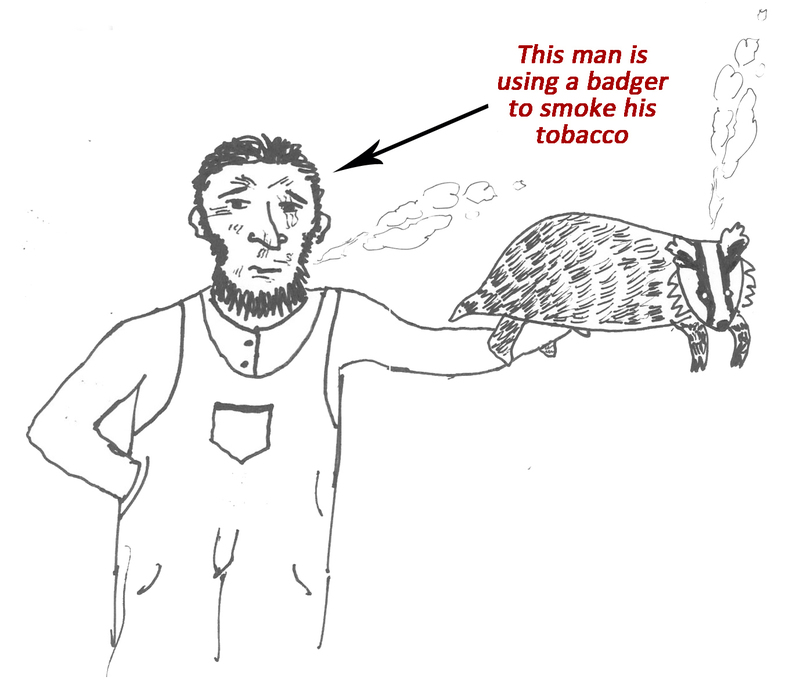 In 1852, the badger pipe was invented in Coma and provided a way for many to once again enjoy smoking tobacco. 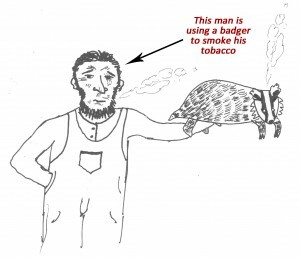 The badger pipe fell out of favor by 1857 due to the fact that most badgers are unwieldy and tenacious animals that don’t like being used as pipes. People who used badgers as pipes were 142,712 times more likely to wear an eye patch than people who used traditional pipes. Overlooked by most historians, the Union Army developed and implemented a highly controversial, top secret program to train chickens to serve in the Union Army. 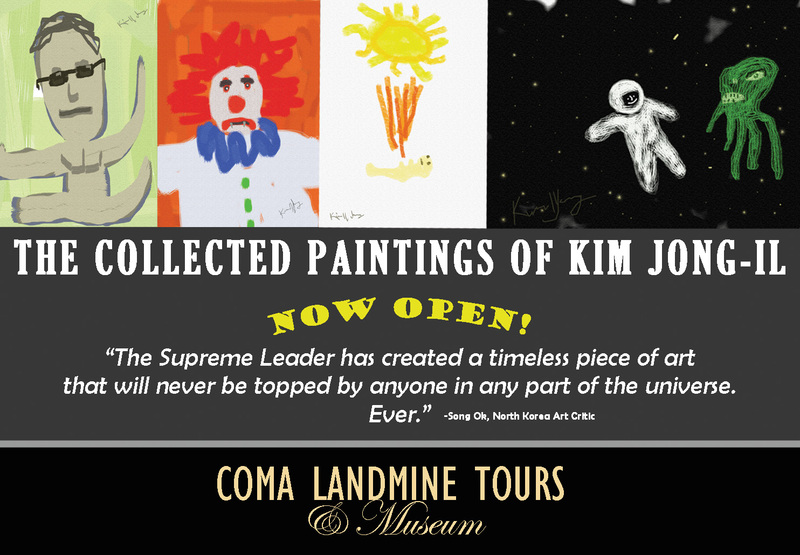 The program was headquartered in Coma not far from where the Coma Unified School is currently located. 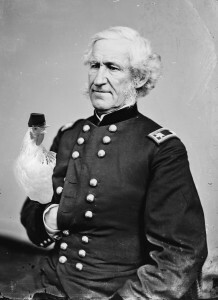 Although the program had some early success, particularly at First Manassas, where several chickens were awarded commendations for valor, the fighting chicken brigade ultimately failed. 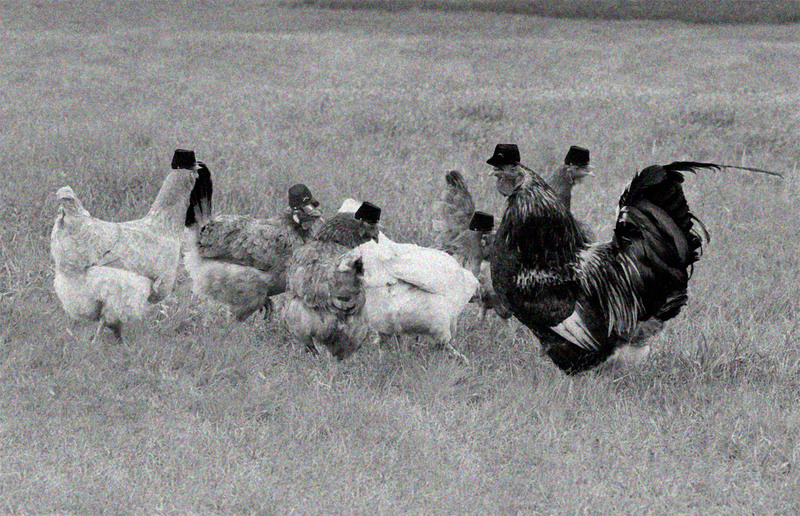 Military leaders cited hygiene, failure to follow orders, the increasing incidents of fratricide as human soldiers slaughtered great numbers of chickens for food in the field, the fact that their hats routinely fell off and the overall obtuse nature of the chickens as primary reasons for the program failing. 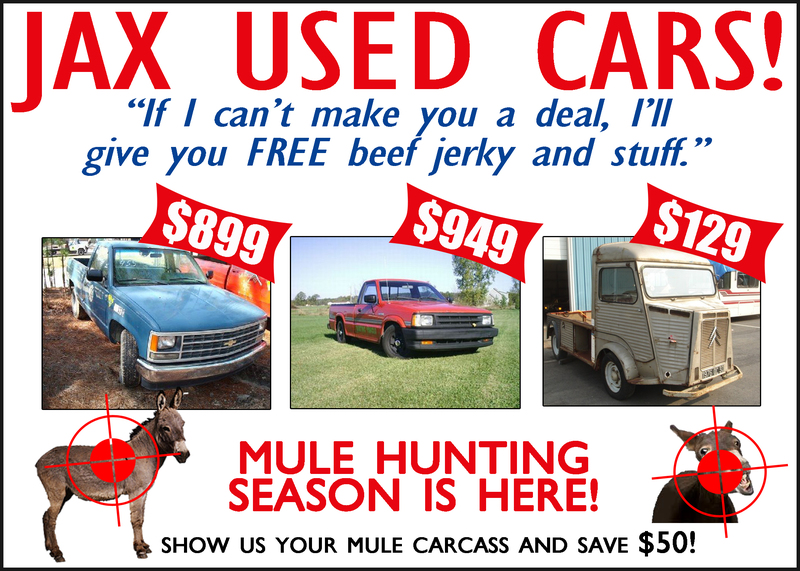 “I have not sufficient paper to express in detail the pause and great fear I have for our dubious endeavor to arm the wild game that now sleep in coops not ten paces from my tent. After weeks of training and drilling the unit is still without discipline or the steel one would expect from a professional soldier. In many ways they are no better than the flood of volunteer soldiers we have received from the west. 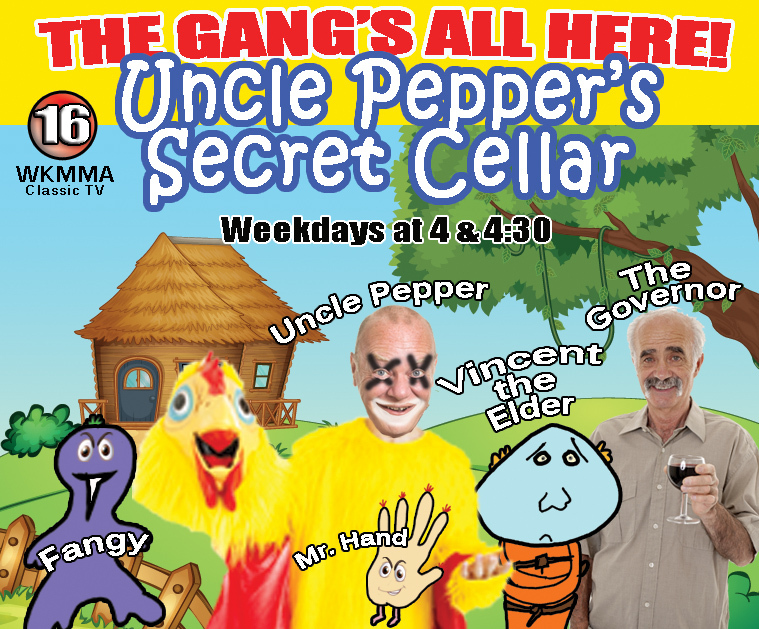 But I submit to you now in the most private of manner that lately I have begun to grow fearful for my own safety as a number of the feathered creatures have banded together and appear to be in the midst of planning a great coup (not coop). The way they set their eyes to me is unsettling to say the least. I was even the object of an impromptu attack last week when one of them took to pecking at the heel of my boot. 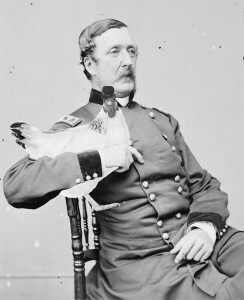 The program was dissolved in the fall of 1862. A small, life-size bronze chicken sculpture was later erected in town but was run over and crushed by a farm truck in 1967. 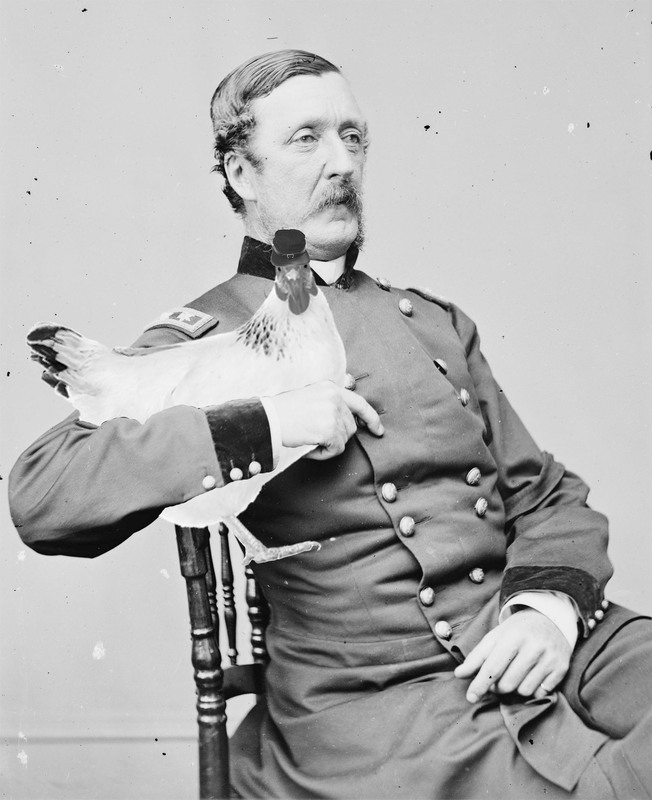 One of the best kept secrets of the American Civil War was the invention of the parachute. 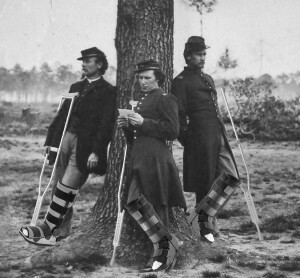 Although it was never deployed in battle and resulted in numerous and debilitating injuries to the first paratroopers, it the first paratroopers were rendered mostly ineffective as many suffered terrible leg injuries on their jumps and could not continue to fight. Although the design of the first parachute was sound and well-made, the elevation the paratroopers made jumps from did not provide sufficient time for the parachutes to properly deploy, meaning many fell several stories onto the ground below. It would take more than half a century and the invention of the airplane before the parachute was successfully used in combat. The pioneers of the 51st Massachusetts, although rarely recognized, certainly paved the way for future soldiers. On the heels of the recently announced ban on all paper products, the Coma Daily News has launched the town’s first public website on the computer. This article you are now reading is the first news story published on the website. 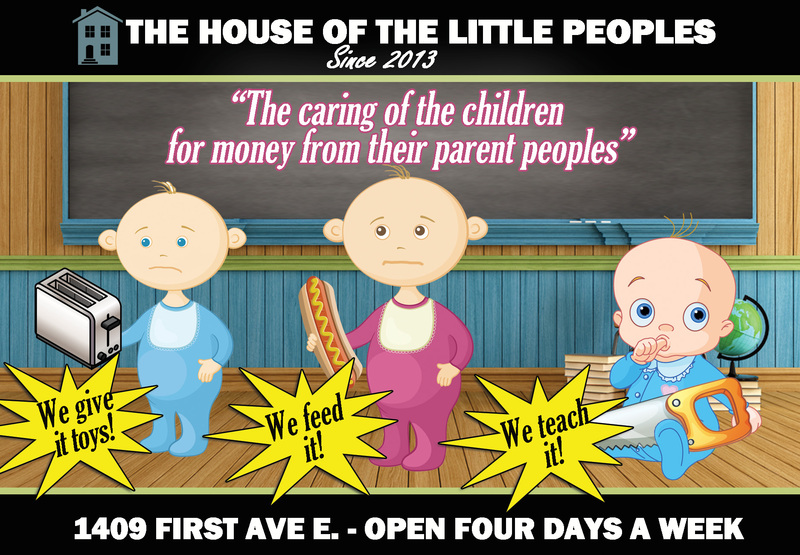 Technically, it is the third story published on the new website. The first story was very similar to this story only it was written in what is apparently an unacceptable telegraph-style. The second story was a story about how apparently telegraph-style is unacceptable on computers. 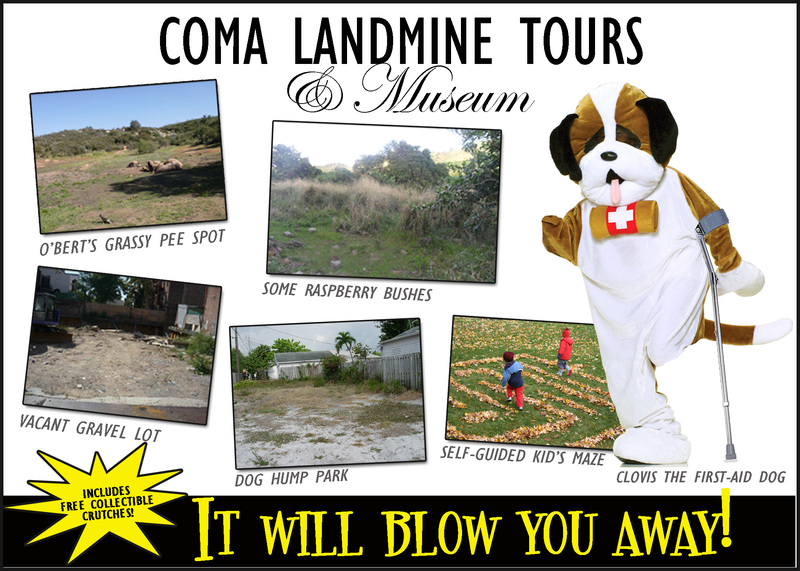 As has been the tradition of the Coma Daily News for more than a century, we hope to continue to bring you all the news and information about our beloved town in a timely manner on the computer.